On Friday, Afghanistan's Independent Election Commission postponed polls in southern Kandahar province for one week in response to the brazen attack that killed the powerful provincial police chief, Gen. Abdul Raziq, who was gunned down Thursday as participants wrapped up a day-long meeting to lay out security plans for Saturday's elections. Gen. Scott Miller, the commander of U.S. and NATO troops in Afghanistan, escaped injury, but his presence at the gathering was indicative of the importance Washington places on a violence-free election, particularly in the country's south and east, once the religious and political heartland of the Taliban before their 2001 ouster. Raziq's death deals a powerful blow to the Afghan government's already flagging war against a resurgent Taliban. "The Americans found (Raziq) brutally effective against the Taliban," said an analysis released Friday by the Brussels-based International Crisis Group, or ICG. "Raziq did not fight by the rules: the U.N. Committee Against Torture called for his prosecution last year after he was personally implicated in torture and extrajudicial killings." Raziq had escaped several assassination attempts, including one last year in which five diplomats from the United Arab Emirates were killed. Considered a soldier's soldier, Raziq mixed easily and often with his troops and was known to take a helicopter to front line battles against Taliban insurgents. 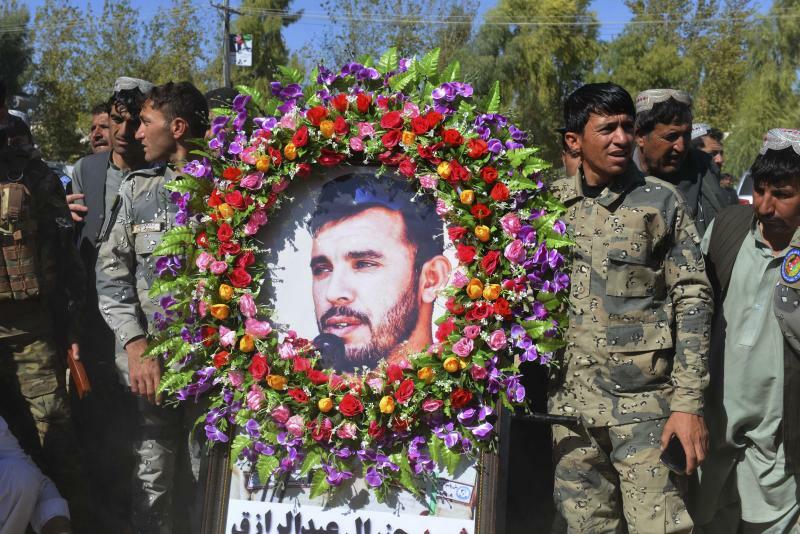 "Raziq's death likely does the greatest damage to the morale of the Afghan security forces," said the ICG analysis. "The Taliban now initiate roughly 90 percent of battles in the war, meaning that security personnel find themselves routinely on the defensive." The Taliban's consistent and relentless show of force would also seem to give the Taliban greater leverage as the United States accelerates efforts to find a peaceful exit from the 17-year war, which has cost the United States more than 2,400 lives and over $900 billion. Last month the United States appointed Zalmay Khalilzad, an Afghan American and former U.S. ambassador to Afghanistan, as a special envoy tasked with finding a peaceful end to a protracted war that is mostly forgotten in the United States, but one from which U.S. President Donald Trump promised to withdraw during his 2016 presidential election campaign. Earlier this month the Taliban announced they had met Khalilzad in the Middle Eastern state of Qatar, where the insurgent group maintains a political office. The U.S. has neither confirmed nor denied the meeting. "It's quite clear that the Taliban is ramping up its violence in order to strengthen its bargaining position in potential talks," said Michael Kugelman, deputy director of the Asia Program at the Washington-based Wilson Center. "There may be a two-fold strategy at play: Test the Americans to see how committed they really are to talks, and try to make Kabul and Washington desperate enough to agree to generous concessions." Regardless, the Kandahar attack, more than 17 years after the Taliban were driven from power, underscores the harrowing insecurity in Afghanistan ahead of the elections. More than 50,000 Afghan National Security Forces personnel have been deployed across the country to protect the 21,000 polling station. Insecurity forced the Independent Election Commission to close nearly a third of its polling centers and cancel elections in 11 of nearly 400 districts. As well as Kandahar, elections will not be held in Ghazni province where polls have been postponed until next year. The Taliban have vowed to disrupt Saturday's vote, warning teachers and students not to allow schools to be used for polling and warning Afghans to stay away from the polls. 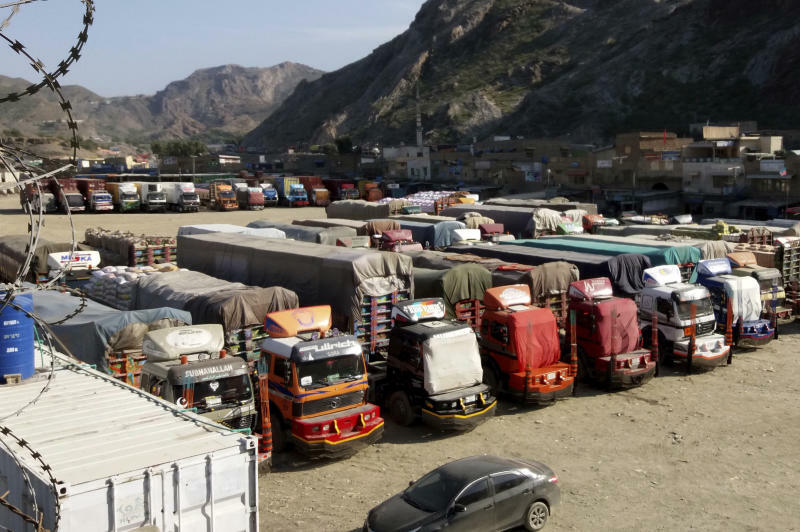 Pakistan closed its two official border crossings with Afghanistan, the foreign ministry said. The development came at the request of the Afghan government, which routinely accuses Pakistan of harboring Taliban militants, a charge Islamabad denies. The crossings were to remain closed Friday and Saturday. Afghan President Ashraf Ghani's adviser, Ziaulhaq Amarkhil, said the Kandahar attack was meant to disrupt the elections and urged voters to defy Taliban threats, saying casting their ballot "would be a big slap on the face of the enemy." 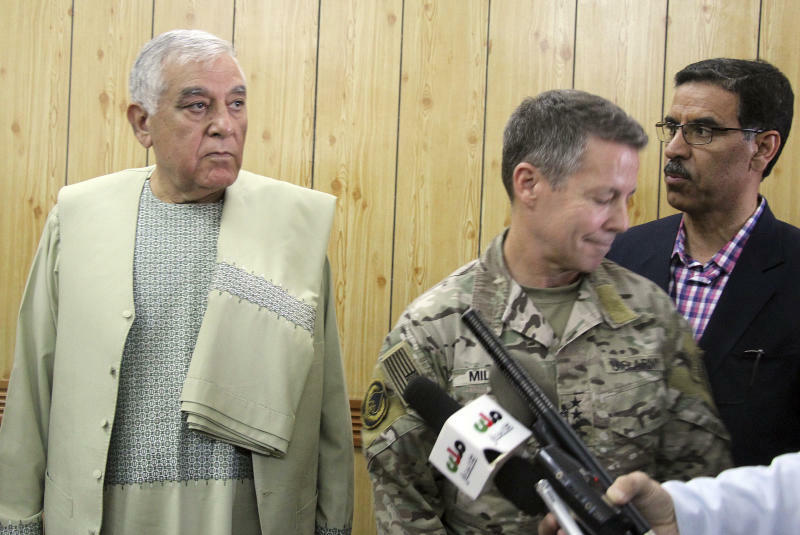 U.S. Defense Secretary Jim Mattis said the killing of the Kandahar police chief is unlikely to fundamentally weaken the security situation in Afghanistan. Speaking while in Singapore for a conference on Thursday, Mattis called Raziq's death a tragic loss but said he believes the Afghan security forces have matured to the point where they can continue fighting the Taliban without him. Yet more than 20 Afghan Security Force personnel have died daily in Taliban attacks over the last several months. The Taliban routinely point to the government's runaway corruption and dysfunction as proof of its illegitimacy, and have rejected international demands to hold peace talks with the authorities in Kabul, who they view as Western puppets. Many Afghans say they hope Saturday's poll will result in less power for the warlords and corrupt political elite, who currently dominate Parliament, but few expect the new generation can compete against the lavish entertainment and cash handouts to impoverished voters that characterized the election campaign of the country's politically powerful. "Prospective peace talks would get a big boost if they include a credible Afghan government partner regarded as legitimate and truly representative of the people," said Kugelman of the Wilson Center. "To get a credible peace partner, you need a successful political transition, and that transition starts with the Saturday polls."